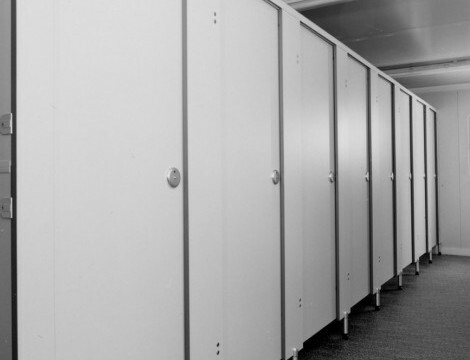 Our budget toilet cubicle partitions, doors and pilasters are manufactured from 730kg/m3 high-density melamine-faced chipboard. The panels are sealed and edged using a hard-wearing 2mm ABS edging strip, which can be supplied to either match or contrast with the main panel colour. The attractive and robust aluminium cubicle hardware can be specified in both satin anodised aluminium (SAA) and powder-coated finishes. 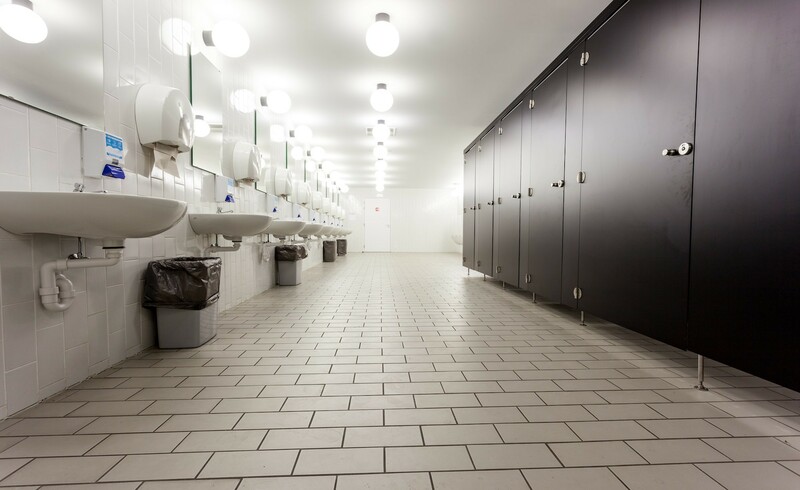 Our budget toilet cubicles offer a high-quality but inexpensive solution for dry washroom settings where zero maintenance and durability are particularly important. They are predominantly used in schools, offices, factories and the public sector. These toilet cubicles are made to measure to your own preferences and specifications for your washrooms. Our experienced designers will propose a robust, attractive installation which is compliant with all relevant regulations. 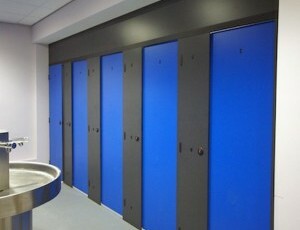 We also offer vanity units and IPS panels link to pages x 2 to complement our budget toilet cubicles. Full consultation and design service at no additional cost.